Fireworks have a strong identity in Italy and by the VII century the “Italian school” of Ruggeri in Bologna was already recognised all over the world for the spectacular nature of its fireworks as is the current “Neapolitan school”. An art, more admired than documented, mysterious in the secrets jealously guarded by the masters and handed down from father to son. 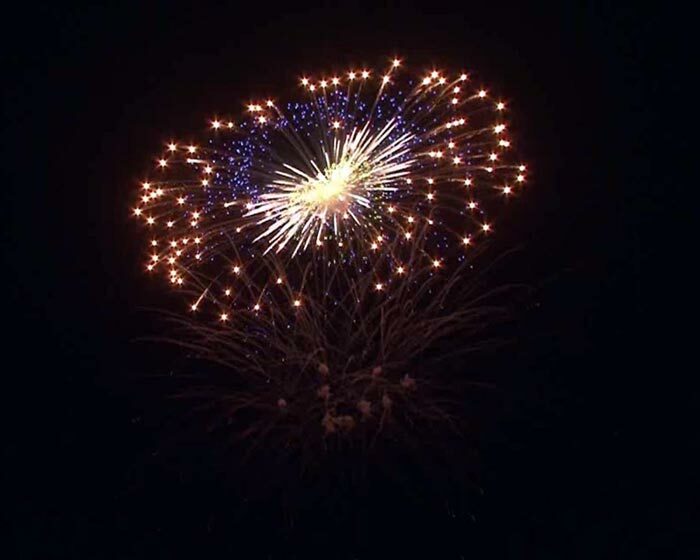 Puglia actively lives this passion starting from the production, companies that have for generations produced fireworks, traditional methods and innovative ideas, prestige and competition allow the families of firework specialists to continue inventing something new. A chemical formula, an explosive mixture that is transformed into explosions, lights and colours. A cardboard housing filled with many little balls, called “stars” in jargon, due to their ability to burn creating coloured flames in the sky. 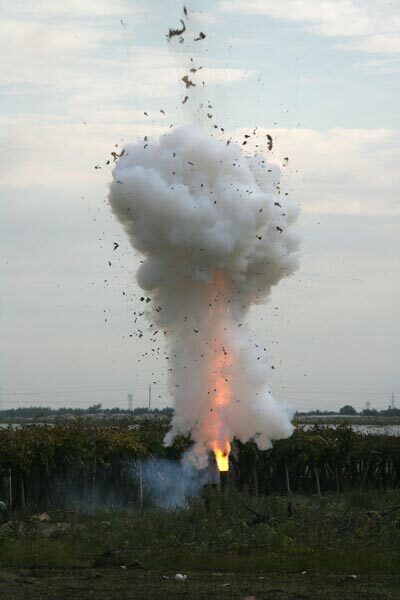 During the various festivities in Puglia the role fireworks play is fundamental at different moments during the day. 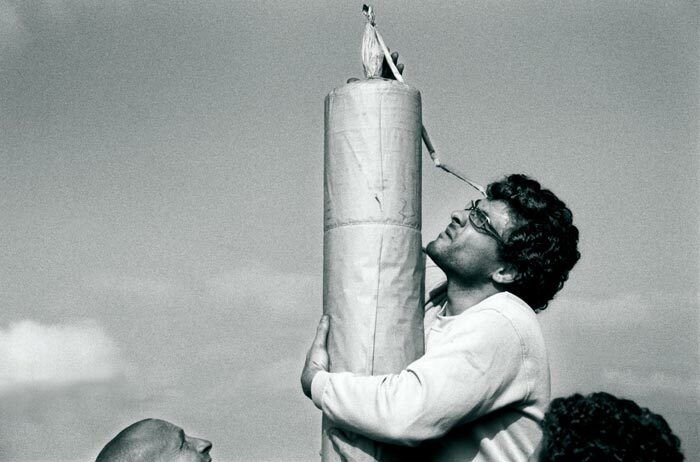 Sometimes during the celebratory days fireworks are already let off during the morning to remember that it is a special day; fireworks to indicate the start, the end or the passing of a procession at a particular place; but the moment in which the fireworks truly become protagonists is during the show, generally during the evening, at the conclusion of the religious rituals. Everybody craning their necks upwards to admire those “falling stars”, explosions of colour in the sky able to make young and old dream. The Pugliese masters are able to fascinate with scenic and musical pyrotechnical fireworks, aerostatic balloons and hot air balloons. 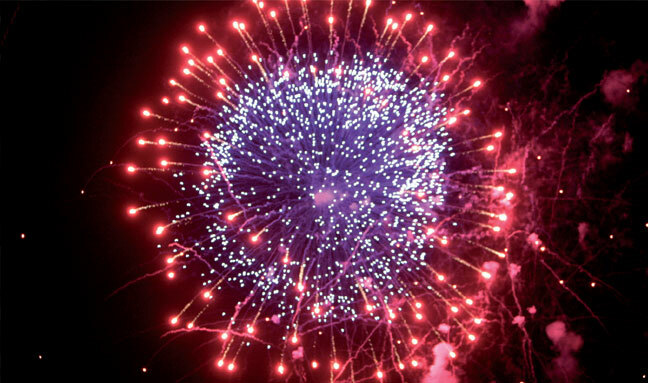 Bombs to throw, grenadines, Japanese bombs and with parachutes, multiple explosions and dark blows, golden or sparkling rain are only some of the special effects able to surprise us before the grand finale. Yes, because the most moving moment is the finale, a fearless succession of intermittent explosions and lights, the fireworks specialists can demonstrate all their mastery fully earning, after the smoke from the last explosion, the applause of the public driven crazy with enthusiasm. A unique and unmissable experience framed by the splendid setting of the Pugliese cities in festivity. 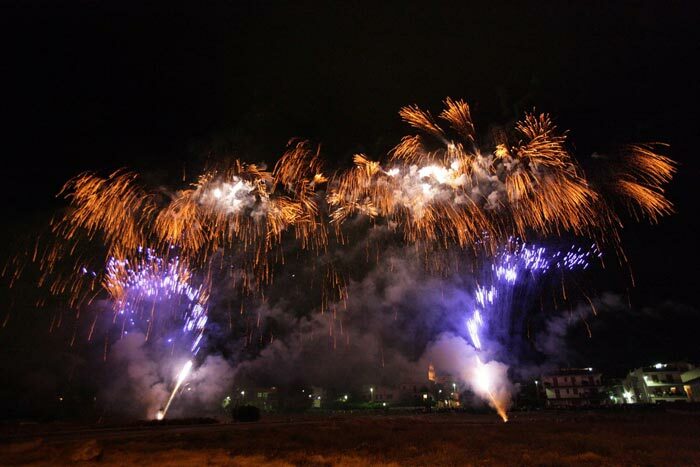 An appointment for fans throughout Italy is the enthralling contest between master firework specialists in Adelfia in honour of San Trifone. 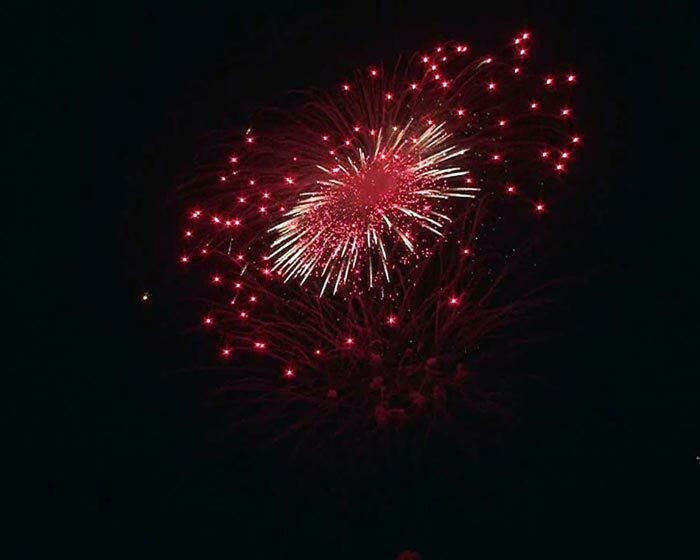 Particularly evocative are the fireworks displays in the setting of the Angioino Castle in Gallipoli for the patron saint, Saint Cristina, or “le batterie” in honour of Saint Nicholas in Bari on the promenade between the applauses of the devout. The thrilling “festivity of fire” in honour of the patron saint, Saint Antonio Abateo in Novoli, during which the ignition of the “focara” occurs through a blaze of fireworks. There are many opportunities to enjoy an unforgettable experience in Puglia … there only remains an embarrassing wealth of options.